Hello and welcome to another edition of Latest Developments! Today I'm going to talk about several kinds of changes within R&D and how we deal with those. From the day that a set enters development until the very end, almost every card changes in some way. Many are minor, but those things do need to get tested. There are plenty of times where we think a card is too strong and give it a nerf, but it's still too strong, so we nerf it again. Or sometimes, a card is too weak, and we give it a good-size bump, then need to dial it back a bit. One of the hardest skills for people to learn when they come in is dealing with the rapid succession of changes early in playtesting a set. As we get later in a set's lifespan, things change less—but the relative impact of those changes tend to be much higher because we are much more used to the cards as they were and our metagame is more mature. Imagine what would happen in current Standard if we changed Aetherworks Marvel to five mana to cast, reduced Hazoret the Fervent's activated ability to 1R, made Winding Constrictor a 2/2, and came up with a totally new design for Oketra the True. That would probably really shake up the metagame for weeks. If that seems crazy, keep in mind that much change would be a light week for us. Our goal is to get Standard to a point where we have spent a lot of time trying to solve the format, and we can't agree on what the best deck in the format is. If the general consensus is that one or two decks are the clear top level, then we nerf something in there or pump something up elsewhere until we can't solve it. That's not to say that the real world can't solve it after all of that—the resources they have (as well as the benefit of having cards that don't change) make it pretty likely that they will get close to solving it, if not actually getting there. Luckily, we release four sets a year, and the hope is that it will take longer for the real world to solve the format then they will have with it. From time to time, we decide to go back to the drawing board and make some changes to the base rules of Magic. Sometimes these changes are small (e.g., changing how costs work with split cards), and sometimes they are incredibly large (e.g., the Magic 2010 rules changes). These are hard because they frequently risk making some big changes in card interactions, which risk breaking things, so we need to test a lot and make sure nothing comes up—or at least have answers when they do. I wasn't here for the Magic 2010 change, but I have to imagine that playtesting with that rules change internally for over a year, while playtesting with the old rules when you go out into the real world, must have been hard. The last revision to the legend rule in 2013, for example, came together because of problems we were having with Theros. Design had ideas for these cool, hard-to-turn-on and hard-to-deal-with indestructible permanents in the Gods. Except, the main way you dealt with them was to just to play your own and kill them both. Sad face. It also hurt us a little bit when we created Thrun, the Last Troll to be a very strong answer to Jace, the Mind Sculptor, but Phantasmal Image was a cheap and easy way of killing it anyway. Sad face again. Over and over again, we found parts of this rule to be not so fun. I mean, I think it was good that we didn't have two Jace, the Mind Sculptors facing down against each other, but that was also the mistake of a planeswalker being too strong. 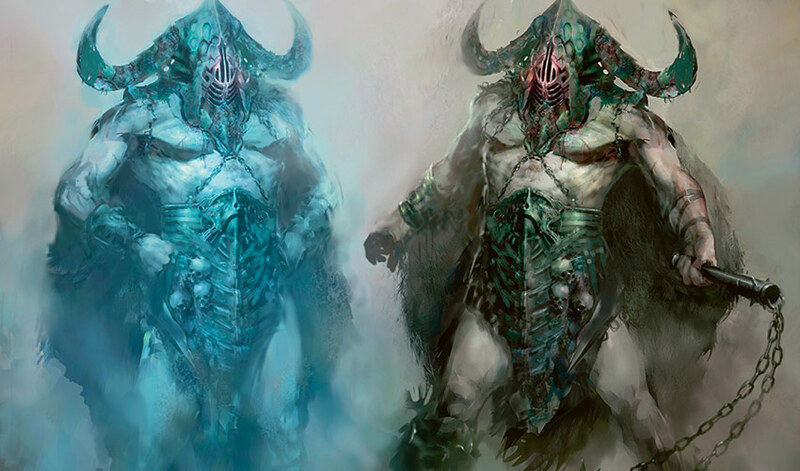 The reasons we make changes to the rules in Magic is because, over time, we realize that a part of the game has some issues and we decide that there are opportunities to improve it. Changes comes with costs, so we try not to just make change for change's sake, but instead for it to improve the quality of the game—both for paper and digital. Once we decided to make that change, we started playtesting and found it to be positive. Now, we have tried other rules changes in the past that didn't stick. I won't go over them because some of them may work in the future, but they were big problems for the Standard environment they were in. It's important for us to realize the difference, with playtesting, between "This feels weird, and I'm not sure I like it" and "This is wrong." Most of the people who are regularly playtesting have been playing Magic for fifteen-plus years, so it is very easy to be locked into the rules how they existed. Almost every time we propose a rule change, some number of people within the building will be immediately turned off by it, for no other reason than cheese is getting moved. Luckily, we have the ability to test it out for a while and see if those attitudes shift. There may have been some minor hiccups with the change, but it was very nice for us to be able to use legendary on lands again. Nykthos, Shrine to Nyx specifically picked up legendary pretty late in development, and I am glad we were able to go with that change rather than making it prohibitively expensive to activate. I'm also happy that we have the ability to make our legends really tier 1 cards again. The play pattern of using one Umezawa's Jitte to destroy another, while probably doing a good job of balancing that card, was a bad experience for everyone involved. Kind of the elephant in the room for a lot of the last year was that we made a ton of changes in how we made sets, and not all of them worked out as well as we would've liked. I think the move away from three-set blocks was good as a whole but hit some rough spots with the loss of core sets, dealing with more themes per year, and faster Standard rotation. I think we went into it with the best of intentions and with reasonable ideas on how to tackle things, but between the known unknowns and the unknown unknowns, there were certainly places where we stumbled a bit. I believe we have learned a lot from the whole experience, and while the last year did not always go as smoothly as we might have liked, I think that the end result is that sets and Standard in particular are going to get much stronger. The biggest long-term risk to us is that we stagnate and never try anything new. Even if not all our attempts at improvement work out, the ones that do pay dividends in the future. I mean, the net result of us making those changes was the creation of some additional process changes that you will learn of soon enough, as well as our Play Design team. These changes are often the hardest for us to work around because they take the longest amount of time to really understand and have the most impact around the company. We release four Standard-legal sets a year, and we have never missed a deadline. That's huge. It takes a small army of people to make all of that happen, and we can't just hold a set back for six or eight weeks because it isn't ready. And, at the same time, our feedback from the real world has about a year of lag. We do our best to react to real-world feedback, it just takes time. A lot of the things people have been asking for are on the way—just not yet. Speaking of change, I have one other announcement: this is going to be my last Latest Developments column. I'm not leaving the company or anything—with the addition of the Play Design team, it just felt like the right time to pass the torch on to someone on that team. I've been writing this column for four and a half years, give or take, which is the longest tenure of any Latest Developments writer. This has been a task I have really enjoyed doing, but as my job has shifted more toward leading sets and other associated job duties and away from a lot of the balance-focused tasks, I feel the column has somewhat strayed from its original purpose. Luckily, we have this awesome play-balance team that has been starting up, and that is the sole focus of their job, rather than merely a part of mine. Next week, Dan Burdick, the Play Design manager, will write an article going over what his team is going to be doing in greater detail. I'm very excited about what they have done so far, and what the plans are with his team in the future. After that, you will start reading articles by the new Latest Development's main author, Melissa DeTora, with some help from other members of the Play Design team. Melissa is someone whose writing I have been a big fan of since before she started here, and I have enjoyed watching her come into her own as an excellent balance team member. I am very excited to see what direction she and the other members of the Play Design team take this column in the future. I will still be around occasionally—for example, I'll write an article for each set I lead, and may even find other times to write an article now and then. It's been a pleasure writing for all of you over the last few years, and I hope you continue to enjoy the column in the future.